What is Main Difference b/w Electrical and Electronics Engineering? Electrical Engineering is the field of Engineering that generally deals with the study and application of electricity, electronics, and electromagnetism. Electronics Engineering is an Engineering discipline where non-linear and active electrical and electronics components and devices such as electron tubes, and semiconductor devices, especially transistors, diodes and integrated circuits, etc. are utilized to design electronic circuits, devices and systems. 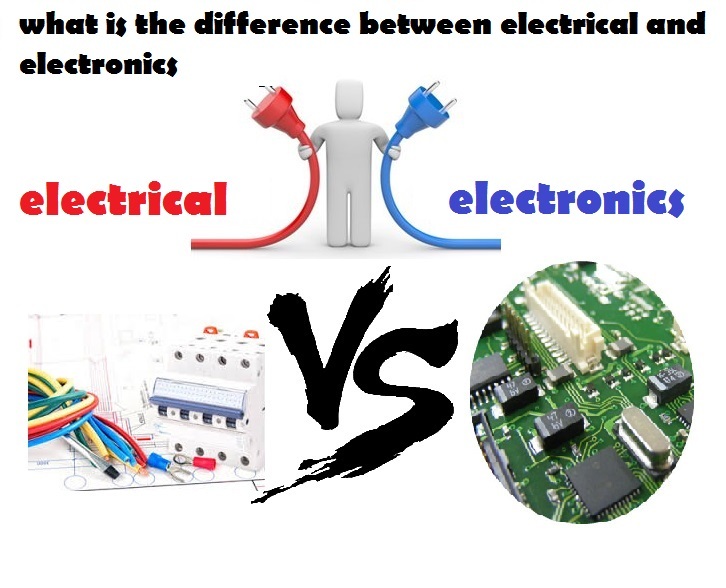 Difference between Electrical and Electronics Engineering. Main difference between Electrical and Electronics Engineering. Electrical Engineering = Study and Utilization/Application of Flow of Electrons. Electronics Engineering = Study and utilization/Application of Flow of Charge ( Electron & Holes). but in case of Semiconductor, we study both of flow of electrons ( Negatively Charges) and hols ( Positively Charge). in other words, Electronics Engineering is Son of Electrical Engineering :). Electrical Technology : Electrical Technology is a filed of engineering technology related to Electrical and Electronics Engineering which deals in generation, transmission & distribution of electrical power and its utilization.